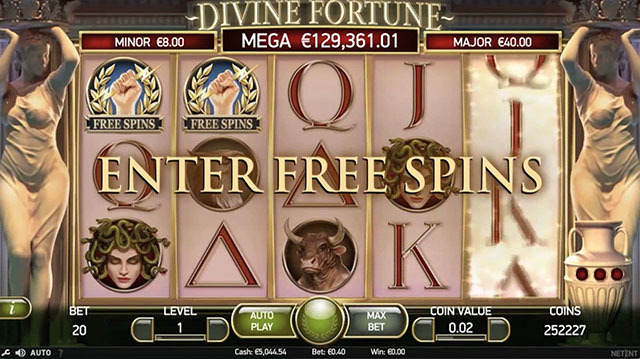 NetEnt is releasing their newest Jackpot slot for 2017, the Divine Fortune Jackpot Slot on 24 January 2017 this month. 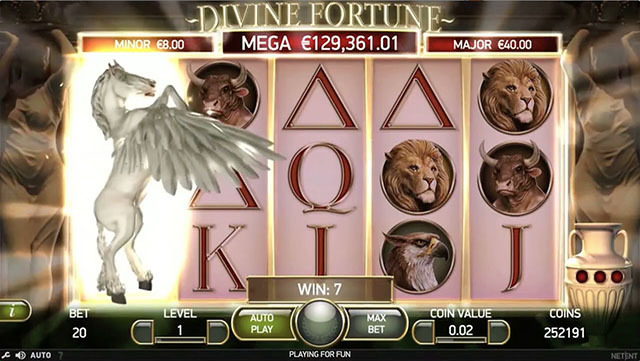 Divine Fortune Jackpot Slot is an ancient Greek-themed, 5-reel, 20 payline progressive jackpot slot which has 3 progressive jackpots that players can win in the Jackpot Bonus feature. 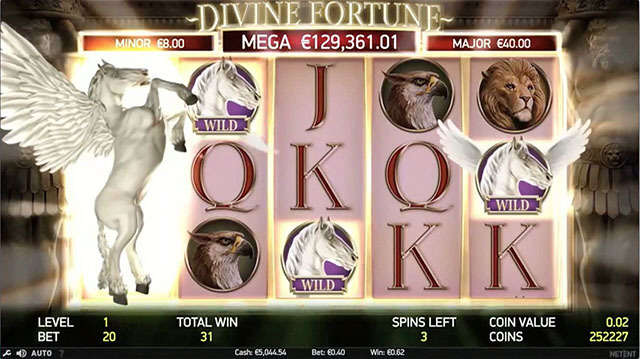 The Divine Fortune Jackpot Slot takes you back to the ancient Grecian times, where Pegasi (winged horses) roamed freely. 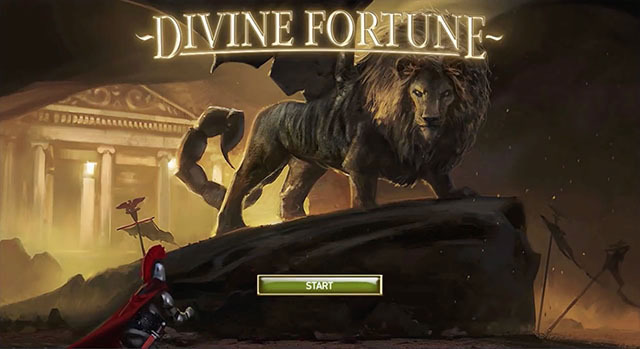 Other mythical creatures to look out for in the game are Medusa, Minotaurs, Nemean lion, and Phoenix. 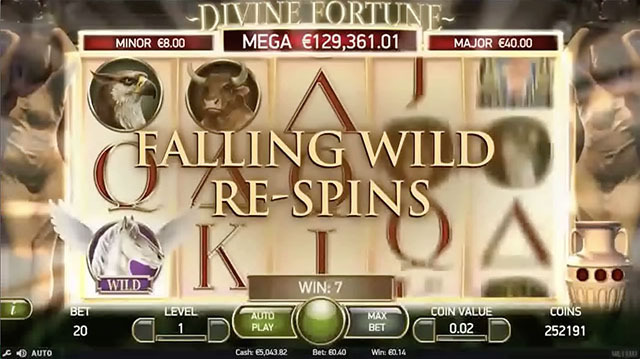 The Divine Fortune Jackpot Slot game features wilds which in turn trigger the Falling Wilds re-spin feature. 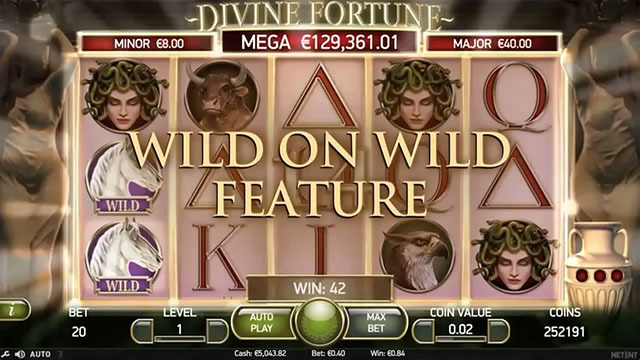 There is also an amazing Wild on Wild feature which extends wilds to cover the entire reel, while other wilds shift to give you additional re-spins. 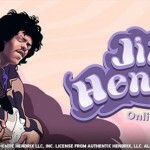 Additional free spins can also be collected during the Free Spins feature, where players can get up to 12 free spins. 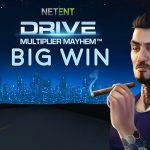 So all in all, there are plenty of winning features in this game. 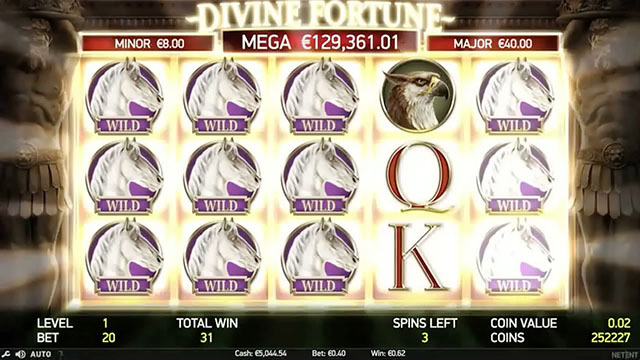 The greatest winning feature in this slot is of course the Jackpot Bonus features. 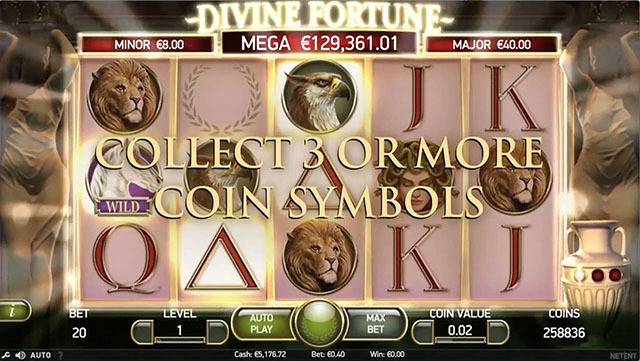 Fill up the bonus symbols (which are the gold coins) in one entire row and you will win the Minor Jackpot. 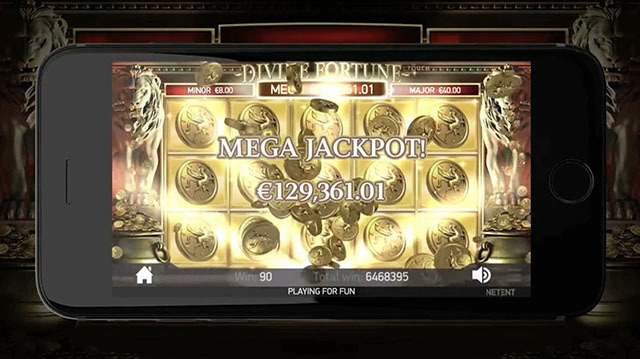 Fill 2 rows with these bonus symbols to win the Major Jackpot, and fill 3 rows to win the Mega Jackpot. 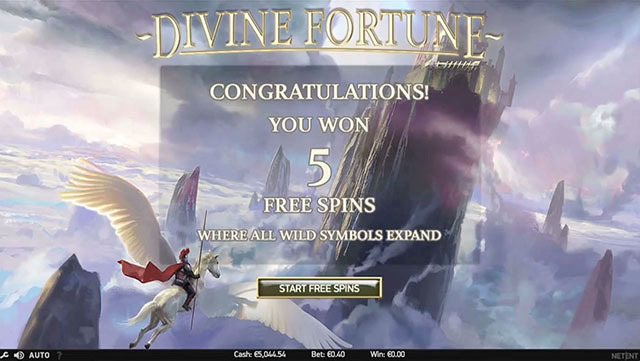 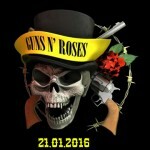 Posted in NetEnt Slots and tagged Divine Fortune Jackpot slot, NetEnt Slots, new netent slots.